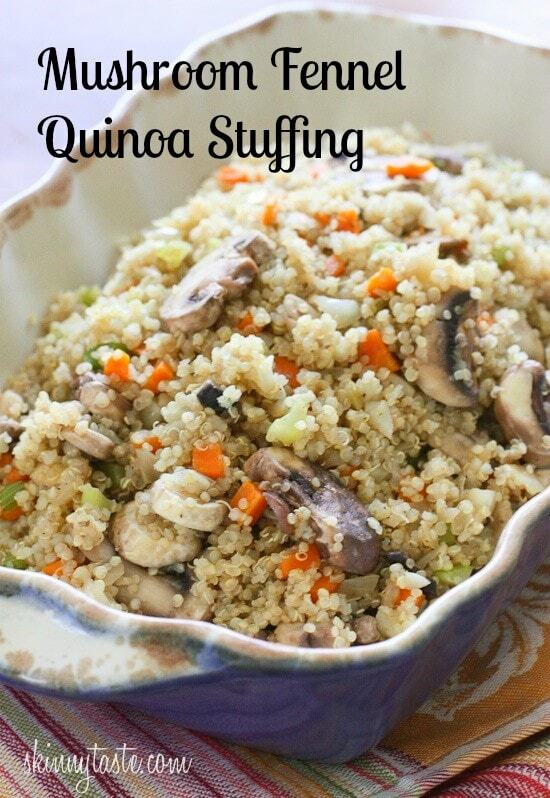 This savory quinoa stuffing is a delicious, protein-packed, gluten-free alternative to traditional stuffing. A wonderful addition to your Thanksgiving table, or perfect to serve any night of the week. 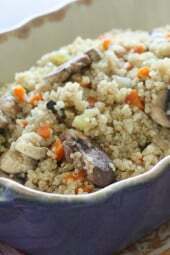 Serve this along side a roasted chicken, turkey breast, or make it a meal by adding sauteed turkey sausage. 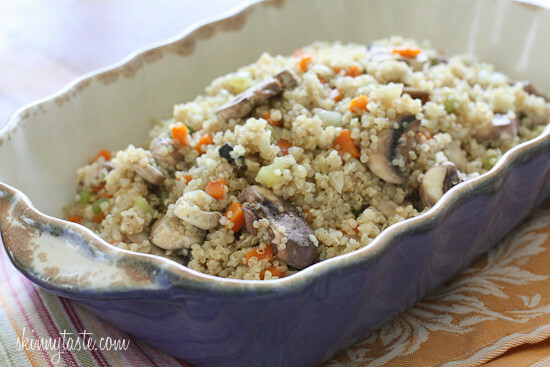 And just a side note, my uncle who doesn’t like quinoa was really impressed with the flavors in this dish. I think I may have converted him *smile*. 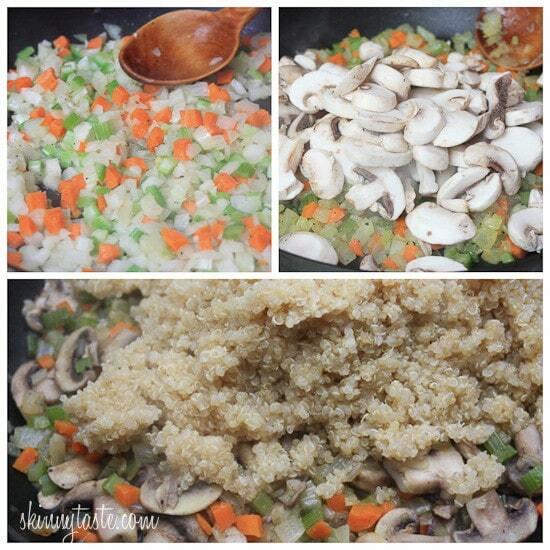 While the quinoa is cooking, in a large heavy sauté pan add olive oil to the pan, then the onion, sauté one minute. Add the fennel, celery, and carrots, salt and pepper to taste; cook about 12-15 minutes over medium heat, until vegetables are soft. Add the mushrooms to the pan, more salt and pepper if needed and cook, stirring 5 minutes, then cook covered for 2 minutes, or until the mushrooms have released their juice and are cooked through.